Is BTC Legal in the USA? 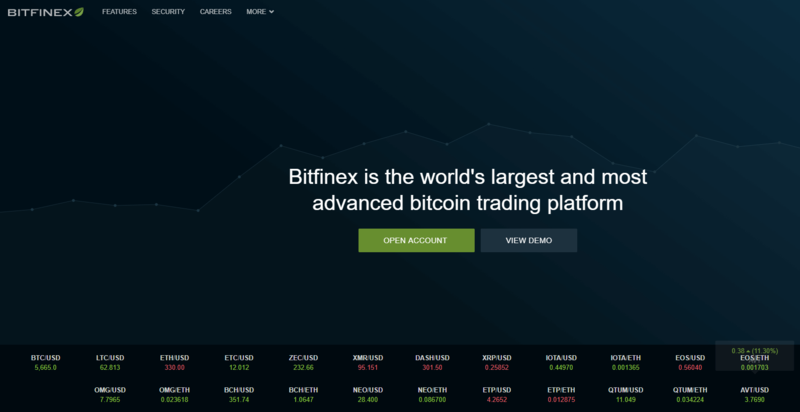 How to Choose Right Bitcoin Exchange? 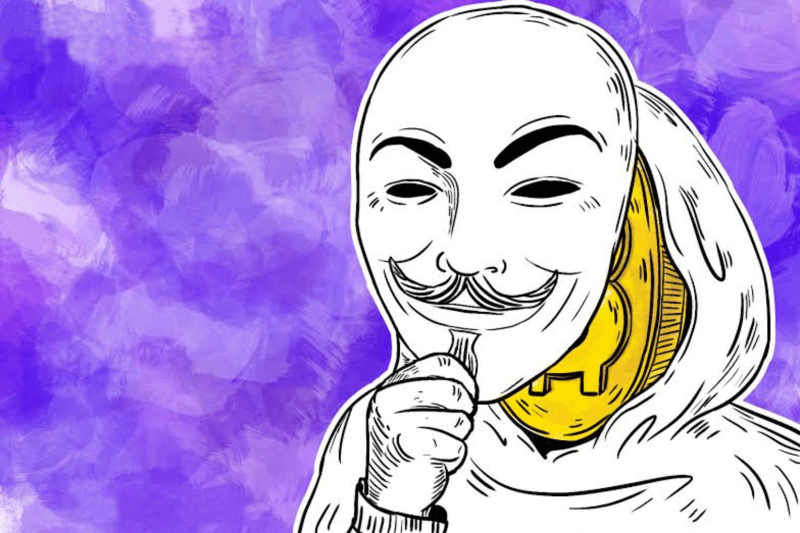 How to Buy Bitcoin Anonymously in the US? 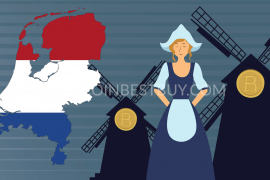 Can I Buy Bitcoin Anonymously in the United States? Can I Buy Bitcoin in the USA and Sell It in India? United States is considered as one of the most developed regions in terms of bitcoin network structure. 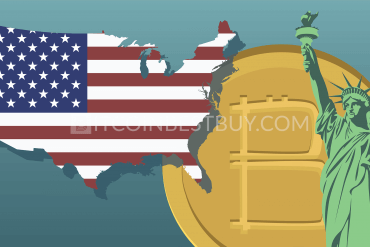 Thus, we made a quick bitcoin guide on how to buy bitcoins in the US quickly and safely through reviews of top exchange in the country’s cryptocurrency market. We list their verification demands, deposit methods, pros and cons as to compare them between each other easily. We also have a referral program for you to us at Coinbase that would grant you $10 worth of bitcoins should you buy or sell the coin at the exchange of up to $100. Coinbase allows you buy BTC instantly with a credit/debit card or bank account (ACH transfer). Here is a step-by-step guide to making the bitcoin buying process in the United States as smooth as possible. 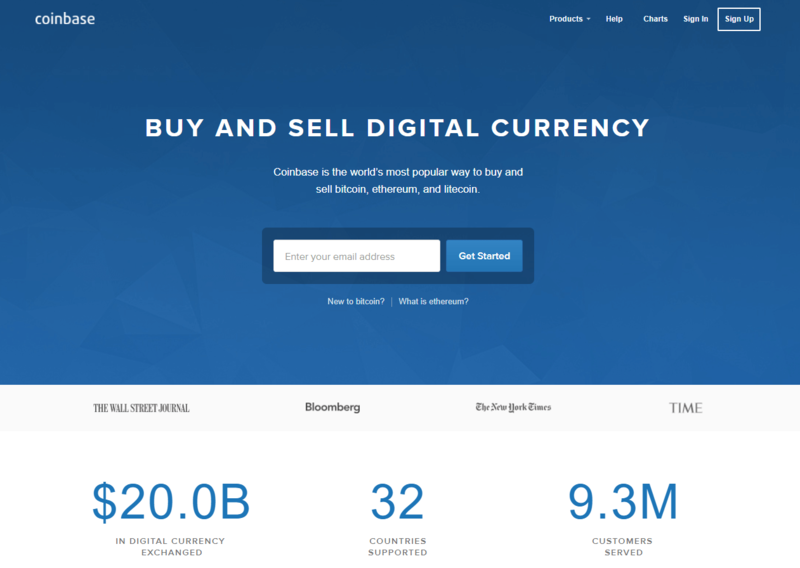 Proceed to Coinbase, it’s the most popular bitcoin exchange in the US. 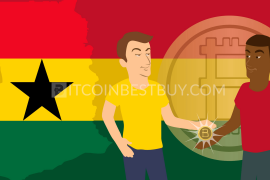 No matter if you are an experienced BTC merchant or a beginner that wishes to purchase and sell bitcoins for the first time, you came to the right place. 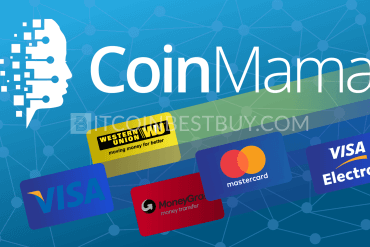 This article will show you how to purchase bitcoins from various providers while giving you a list of purchase methods that you can use. Apart from exchanges, this tutorial will show you how to purchase bitcoins from the US anonymously, cheaply and, above all, safely. 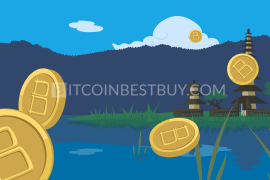 Bitcoin exchanges differ in methods they accept when it comes to buying BTC, thus a close investigation of each broker would be vital in your search for quality BTC seller. You should also use caution as many websites have proven to be a scam in the past, so trade only with those that have been established players in the market. 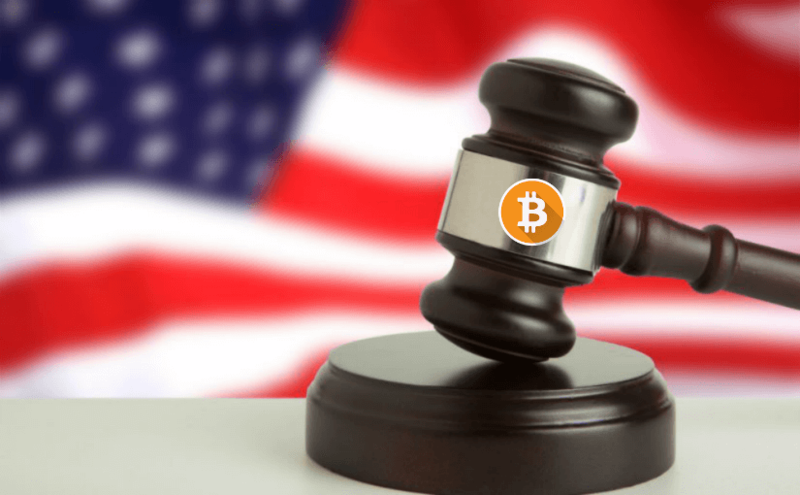 Is bitcoin legal in the USA? Bitcoin has been recognized as a digital asset that investors use to either make a profit from its trading or to purchase goods and services from online shopping marketplaces. The government bodies have even designed a tax regulation policy for investors who purchase, mine and sell BTC, which means that it is safe to work with. We have conducted a market research on where you can purchase bitcoins if you are located in the US and came up with top 20 brokers that you should check out. Coinbase is considered as one of the most popular choices in the US when it comes to BTC purchase. The exchange offers credit/debit card purchases as well with a connected bank account. The fees for bank card purchases stand at 3.99% and are instantly carried out while bank wires would cost 1.49% and would take up to 5 business days to complete. high limitations for BTC purchase. bank transfers can take up to 5 days for wire transfers (ACH transfers are instant). LocalBitcoins is the most popular P2P platform for bitcoin trading in the world. Based on a large number of traders, the transactions could be done in almost all regions of the world, US included (except in New York). The limitations depend on traders while verification is not required by the website. The transaction fee stands at 1%. little amount of bitcoins available for purchase. GDAX is an exchange closely connected with Coinbase, drawing on the supply of bitcoins from Coinbase as well as from own sources. The exchange offers low takers fees of 0.25% while maker and payment methods are free. The broker accepts bank and wire transfers. Transferring funds and coins between Coinbase and GDAX is free as well. connected with Coinbase’s BTC supply. as with Coinbase, full verification of your account is required. Based in Hong Kong, a P2P platform, Bitfinex is considered to be one of the largest bitcoin exchanges in the world, owning about 10% of the US market share. The fees are considered to be one of the lowest in the market as well, with maker fee standing at 0.1% and taker fee at 0.2%. Bank wire fees stand at 0.1% with $20 being the minimum fee. margin trading and lending allowed. was hacked in 2016, resulting in $70 million in funds lost. CoinBTM is an ATM provider based in New York with over 40 kiosk machines located in NY and New Jersey. The limitations on bitcoin purchase are set on a daily and weekly basis with management reserving the right not to prove an explanation for such action. highly private as no verification is needed. 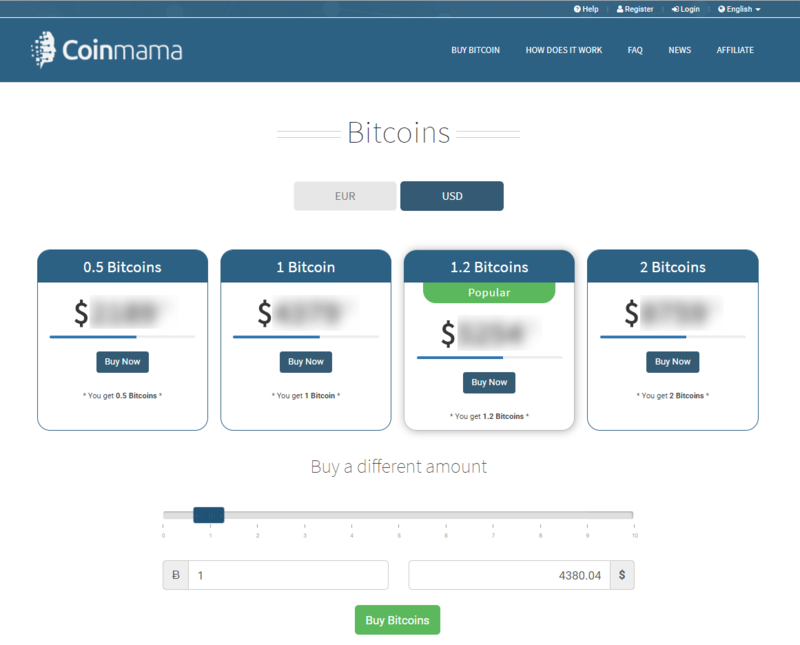 Coinmama offers bitcoin purchase only with a credit card or debit card at a fee of 11.6%. The transactions are done instantly. The verification is a must should you choose this BTC provider and it includes ID, phone, email and proof of address. The limitations, on the other hand, are set as $5,000 daily and $20,000 monthly. high purchase limits with credit/debit card. only credit/debit card purchase accepted. A Swiss-based Xapo exchange that is globally available, including the US. 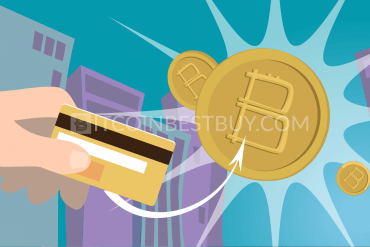 The broker accepts SWIFT transfers as a payment option, though you can also order an Xapo debit card as a way to easily purchase and withdraw bitcoins. The exchange also provides vault services for its customers. 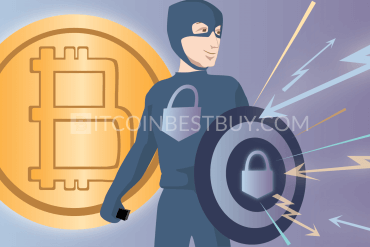 offers a vault services to protect your bitcoins. 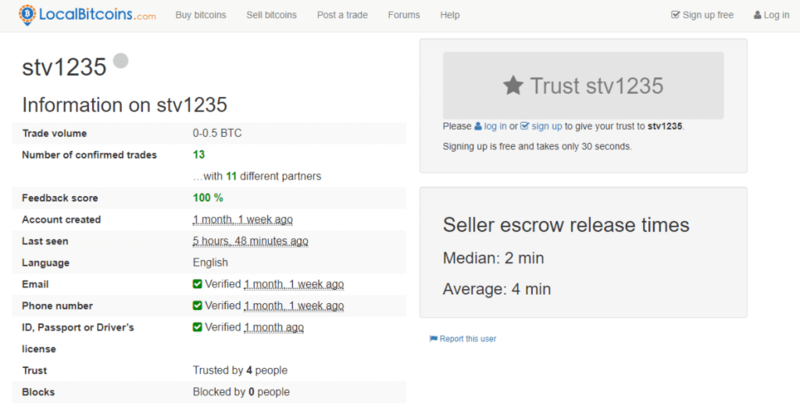 Mycelium is a P2P platform where traders buy and sell bitcoins between each other. The Local Trader is part of the wallet application that Mycelium has to offer and the applications based on mobile phone only (iOS or Android). The meeting is in person but no verification is needed to purchase bitcoins. in large cities bigger chance to get cheap BTC for cash. non-urban areas have scarce BTC offer. 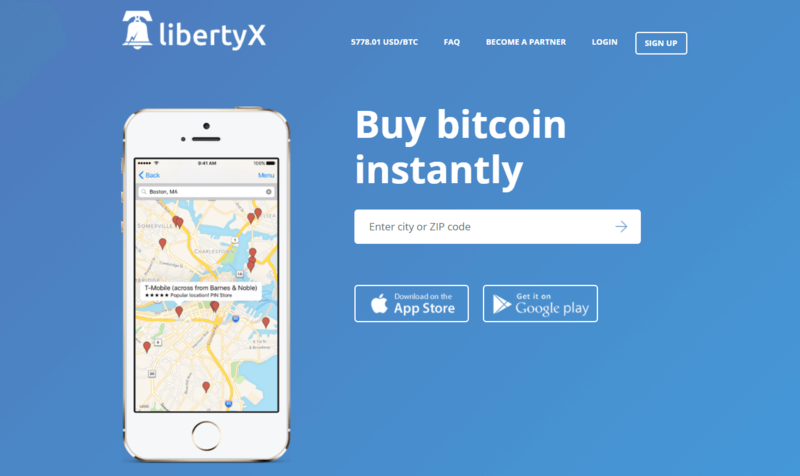 Based in America, the LibertyX offers bitcoin platform on mobile devices, smartphone and iPhone as well. 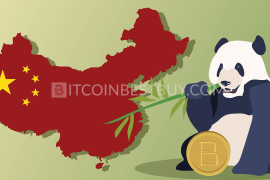 It offers a network of bitcoin providers that sell BTC to traders under their own terms. The verification, BTC price and purchase limitations depend on each individual store. 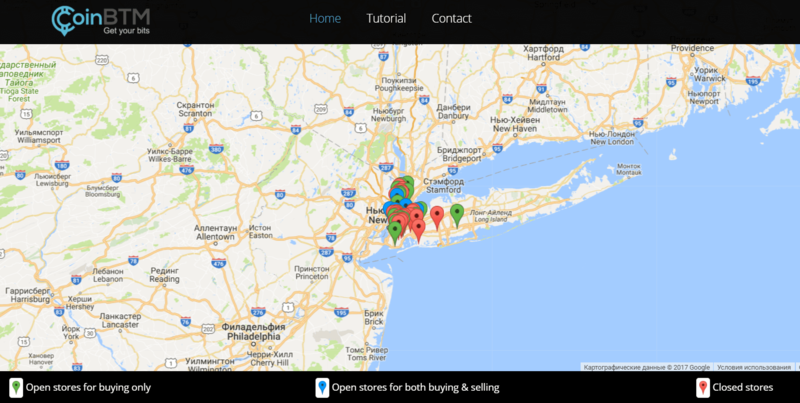 The LibertyX map offers pins about local stores and has information about their fees, working hours and all other relevant details. different stores have different purchase methods accepted, mostly cash. 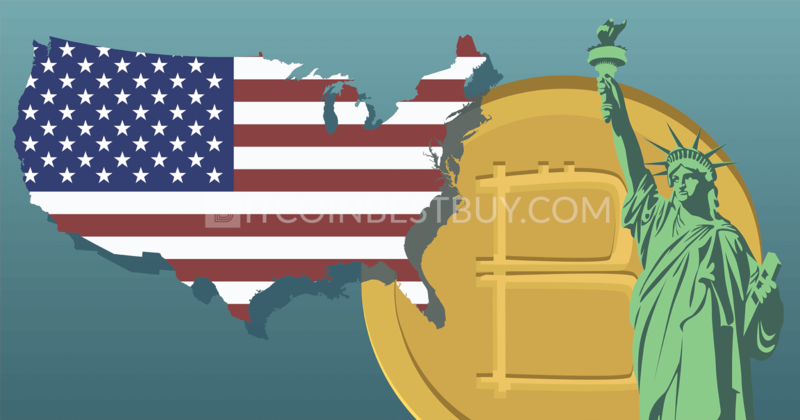 Based in the USA, more specifically in New York, the American Gemini exchange offers bitcoins in most of the States apart from Alaska, Arizona and Wisconsin. The accepted purchase methods are ACH transfer and wire bank account deposit. The maker and taker fees stand at 0.25% but with sufficient trading volume, the cost could be brought down to zero. Purchases themselves are conducted for free. ShapeShift is an interesting exchange as it does not require any sort of registration from your side. 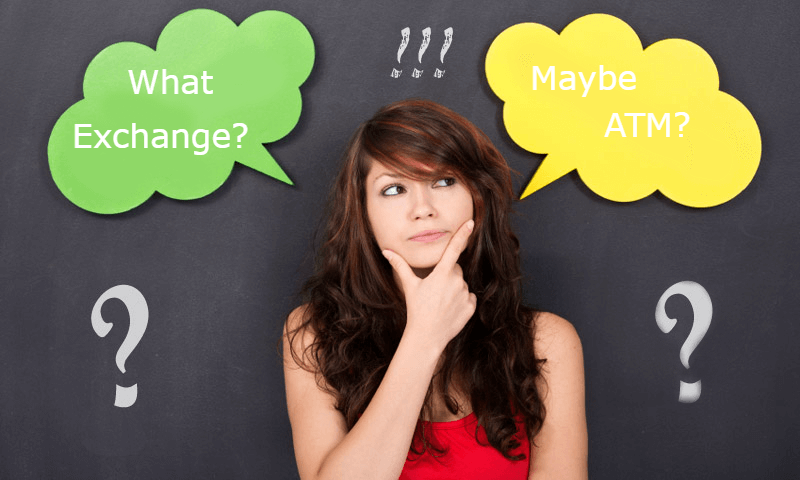 The payment methods also do not exist but rather you swap altcoins for BTC and vice versa. The miner fees are fixed for each altcoin, thus the larger amount you trade, the lower percentage cost it would be. available in all US states. 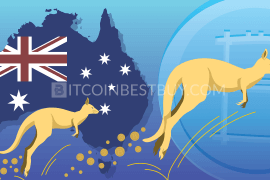 apart from miner fees, other costs are hidden in the exchange rate. Although Kraken is mostly EUR dominated, the exchange offers its services for US traders as well. The purchase methods accepted in Kraken are bank wire and SWIFT transfers which could take up to 5 business days. The fees are structured as maker and taker fees with them standing at 0.16% and 0.26% respectively. Bank wire deposits cost $5 currently. offers a variety of altcoins and currency. could be confusing for a first-time buyer to navigate through the website. BTC-e exchange was found by Russian investors with headquarters based in London. 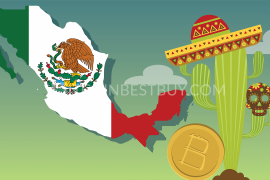 The trade was supported from most countries in the world with bank transfers and bank wire deposits accepted means of trade. 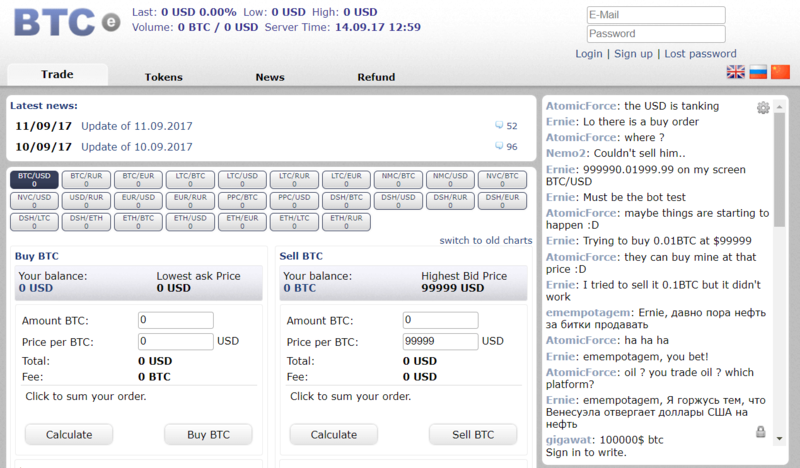 Since July 2017, the broker has ceased its operations due to the arrest of BTC-e staff members and the seizure of server equipment. On 31st July, the management has revealed that it will restart operations within a month. We advise extreme caution should the exchange reopen again, as all customer funds were seized as well. Wall of Coins is a P2P marketplace that offers cash transactions as a purchase method for BTC traders. Other purchase methods depend on the order book set by sellers which could include bank wire transfers, SWIFT deposits and others. The fees stand at 1% for all transactions while verification is needed only for a phone number. the potential for scams as with all other P2P platforms. 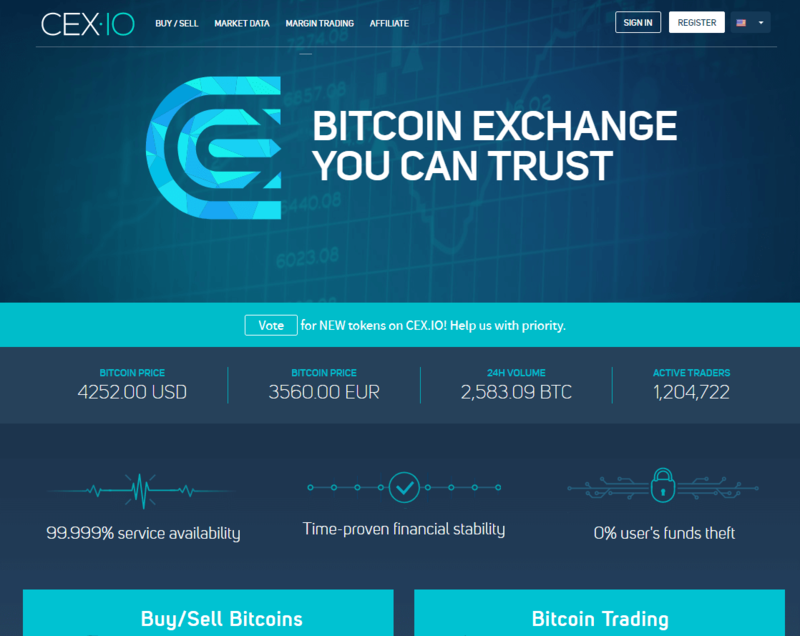 CEX.io is a very popular bitcoin provider that accepts a variety of purchase methods, including credit and debit card, ACH bank transfers and Crypto Capital. The fees stand at 3.5% + $0.25 for credit/debit card deposits while other methods are free. Depending on the verification levels, the purchase limitations can be set as $300 daily and $1,000 monthly for basic level (email and phone only) while higher levels increase the limits towards $10,000 daily and $100,000 monthly. 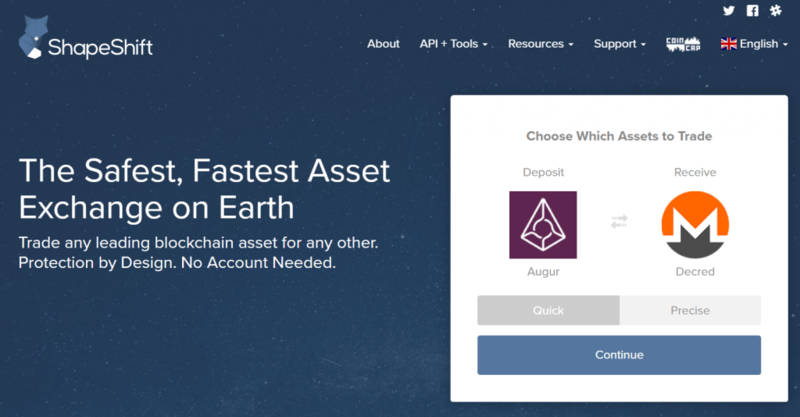 low fees, including transaction cost of 0.2%. you need to deposit first before purchasing BTC. 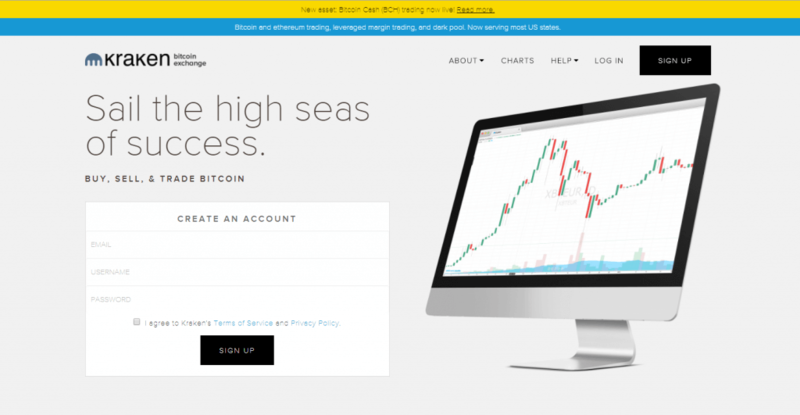 Bitstamp is one of the largest bitcoin exchanges in the world, operating since 2011. It is a licensed broker, registered in Luxembourg. The fees depend on the trade volume, with transaction fees standing at 0.25%. The accepted purchase methods for US traders are bank transfer, bank wire and credit cards. extensive and slightly confusing verification needed to trade. Being a P2P, BitQuick is a platform that offers cash payments only. 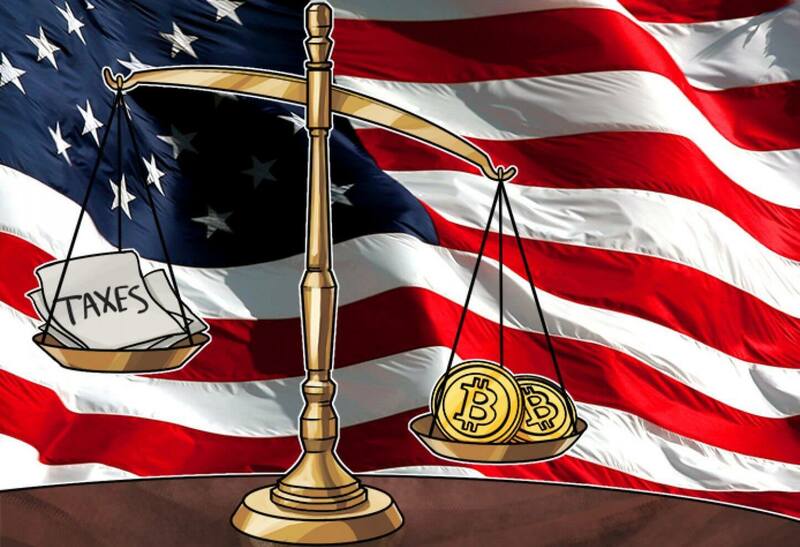 The service coverage includes all US States with an exception of New York due to the high BitLicense Compliance Costs set by State’s regulatory bodies. The cash transaction fees stand at 2% which is slightly higher than other P2P competitors. provides more security than other exchanges’ cash options. slightly high 2% fee compared to other P2P exchanges. Licensed in New York, itBit globally available exchange wire transfers for bitcoin purchase and is available in 49 US States with Texas being the exception. The transfer usually takes one business day and the funds are deposited for free. The only fee that would occur with this broker is taker costs of 0.2%. OTC trading desk offers large quantities of bitcoins for purchase. requires full verification (ID, phone and email). 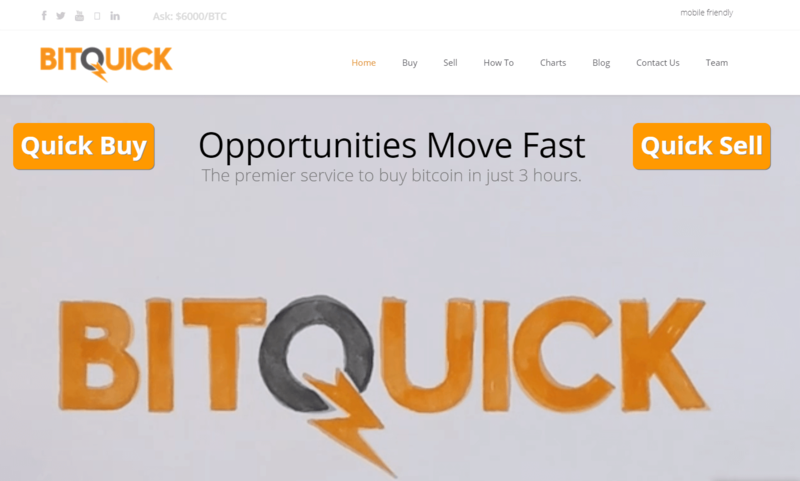 Being an over-the-counter marketplace, Bitcoin-OTC peer-to-peer exchange offers web space for traders to market their bitcoins to other investors. Since it functions like any other regular, though bit complex, P2P marketplace, it is available in all US States as long as there are people willing to trade with you. verification is not needed to start trading. poses a great risk from scammers. If you wish to purchase bitcoins with PayPal and without verification, VirWoX would be a choice for you. That comfort does come with a price, as you cannot purchase BTC directly but through Second Life Lindens (SLLs). Once you have SLLs you can trade them with BTC, incurring double fees in the process (approx. 10%). Other purchase methods include bank cards, Skrill, Paysafecard, and OKPAY. no verification needed to buy bitcoins. large costs due to the double transaction. 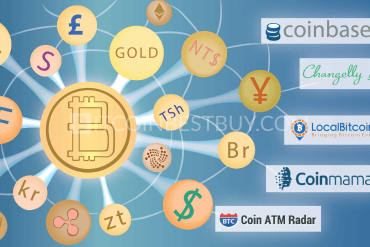 If you wish to purchase bitcoins with cash today and without any sort of registration or verification, ATM machines would be one of the best choices for you. 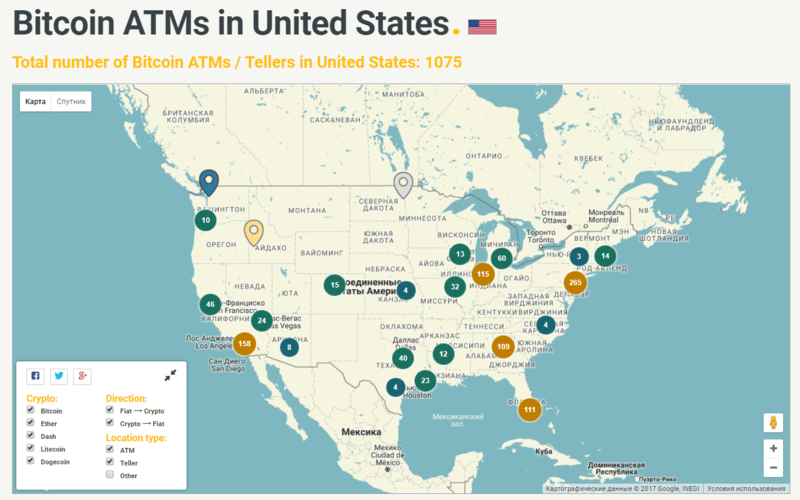 Locating them is very easy as you can use Coin ATM Radar application, where ATM pins would give you information about the working hours, bitcoin price and fees. no verification needed for purchase. there might not be ATM near you. 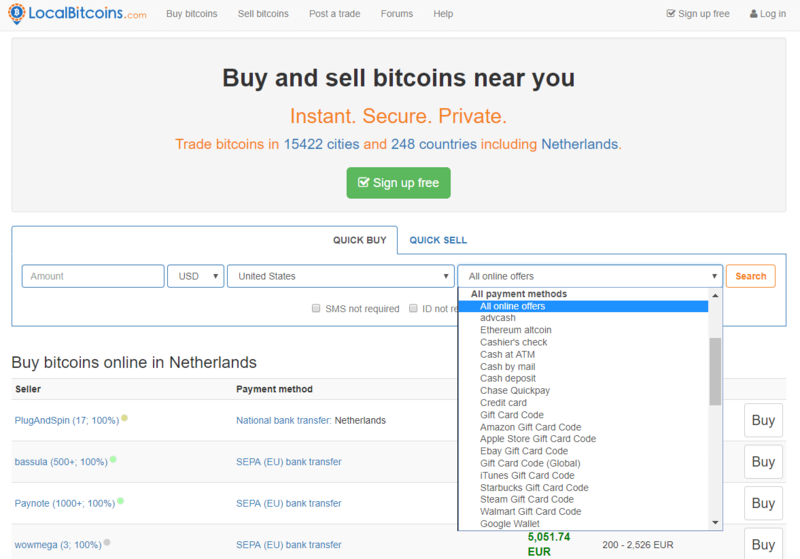 We have numbered many exchanges that you can check out when considering bitcoin USA purchase. Finding a right broker for you would depend on which state you live and how comfortable you are with the verification process. If you do not mind higher fees but larger privacy, P2P and VirWoX or ATM machines would work just fine for you. If you want lower fees and don’t mind sending your ID, there would be a number of exchanges available for you. The best method, in our opinion, would be to work with several of them and thus have larger coverage of the bitcoin market. You have several options on how to purchase BTC in the US. First would be a purchase through ATM machine. 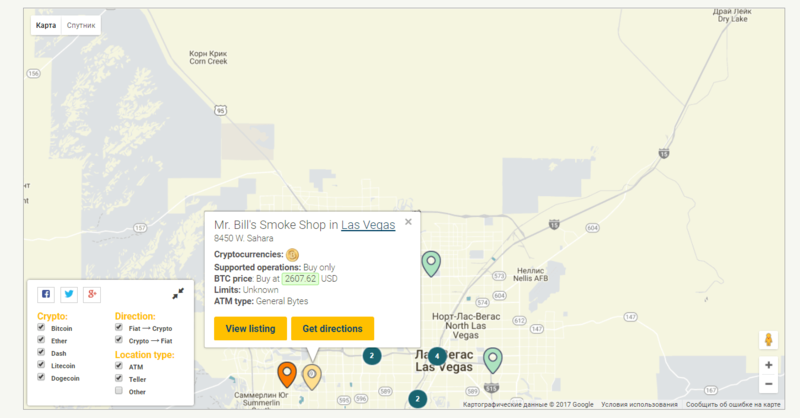 Go to the ATM map and find the nearest ATM machine from you that suit your needs (working hours, fees and bitcoin price). Then head over to the ATM location and bring cash with you to purchase BTC instantly. Another option is through a P2P platform like LocalBitcoins. In search option, choose the country, purchase method and click “Search” button. Click on the offer you like and check the profile ratings of the seller. If the seller’s history is positive, check the terms of trade to be sure that you agree with them. Then, simply click “Buy” and initiate communication with seller. Follow instructions till you get bitcoins in your wallet. Make sure you use escrow service as to avoid unpleasant situations. 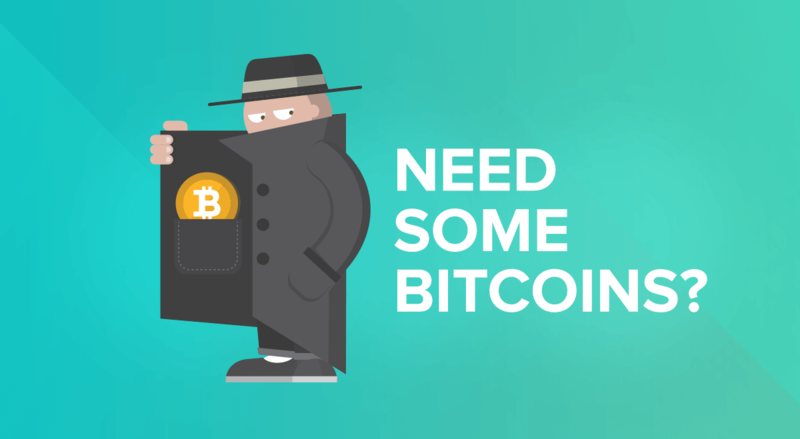 You can purchase BTC anonymously from several exchanges, ATM machines and P2P markets. Exchanges that would sell you bitcoins without any sort of verification are VirWoX, CEX.io and ShapeShift. ATM machine is also a choice but they come with high fees. Lastly, P2P markets come at both cheap price and no verification but beware the scams, as they are quite common on such platforms. In the US, you are obliged to pay taxes on your bitcoin transactions. No matter if mining was done by your side or someone else’s, buying and selling bitcoins is treated as asset manipulation in profit-gaining activities. Thus, as any other profit-oriented activity, bitcoin trading would require you to report your results and pay taxes accordingly. Bitcoin was created to allow such transaction in the first place. 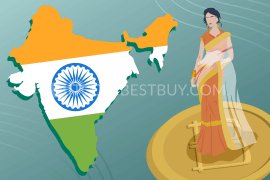 You can purchase bitcoins from any provider based in the USA, withdraw bitcoins to your wallet and then simply sell these BTCs to an Indian trader or exchange. 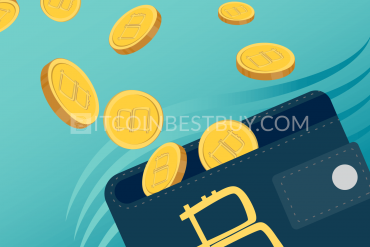 If you have any question concerning bitcoin purchase in the USA that has not been covered by this guide, feel free to contact us at BitcoinBestBuy. Previous articleHow to Exchange WebMoney to Bitcoin?